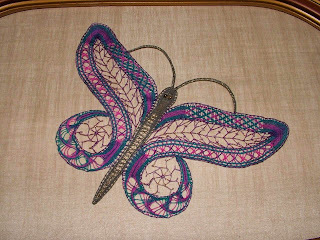 Dorothy's marvelous butterfly from a class taught by Louise Colgan. The colors are majestic! 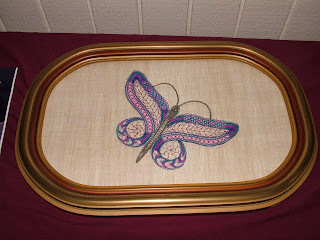 Dorothy plans to mount her butterfly on this frame. Great choice! 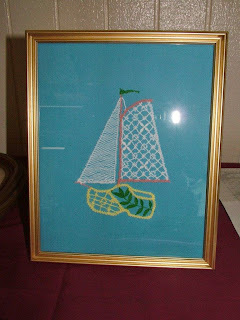 Margaret's unique wooden shoe with sails in bobbin lace. Wynken Blynken & Nod would've loved sailing in this boat! Amanda's darling tatted doily. The colors meld together nicely. Holly is working on a beautiful tatted cross for a friend. 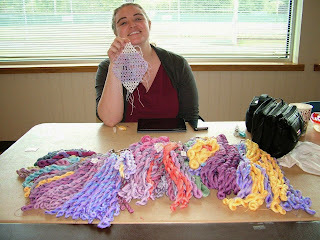 Jessica's a busy lady: she hand-dyed these threads; and still had time to tat a beautiful wisteria. Look at those yummy colors!!! 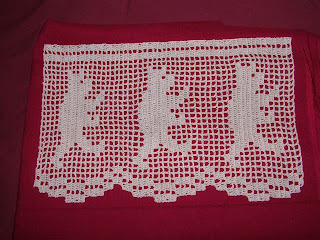 Mary's 3 adorable bears in filet crochet..done in 30wt thread. 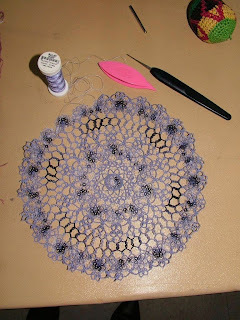 Amanda's 3rd great Grandmother's doily. 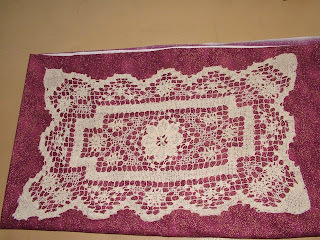 Nancy advised it's antique filet lace as it has an 'overlay' of stitches. 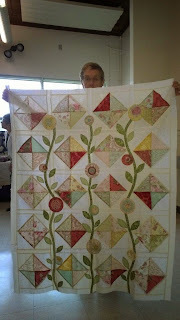 Margy makes her quilts dance with her tatting! 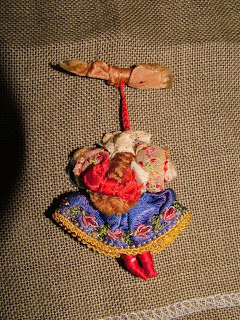 You just had to see Elaine's Swedish hand made doll from her Grandmother. The intricate details of the whole thing were amazing. 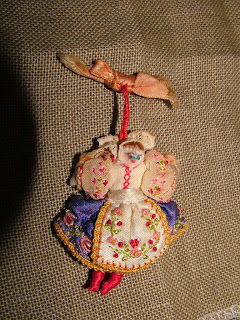 This is the back of the 4" doll. 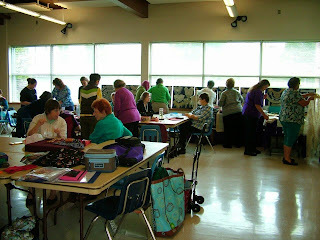 Nancy in the background with her fineries; and this is the tatting table. 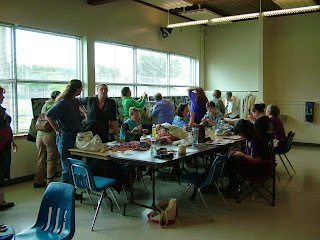 Our meetings always have something of interest for all. 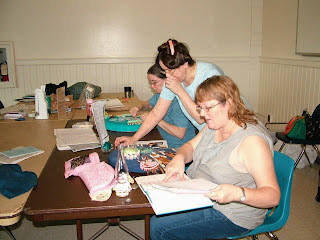 The Bucks point on-going class at the June meeting. 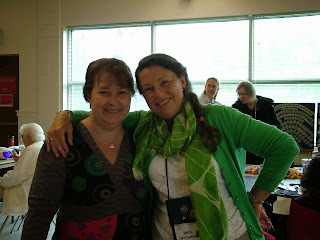 Beth's sister was a guest! How grand...and what a great photo of the two!